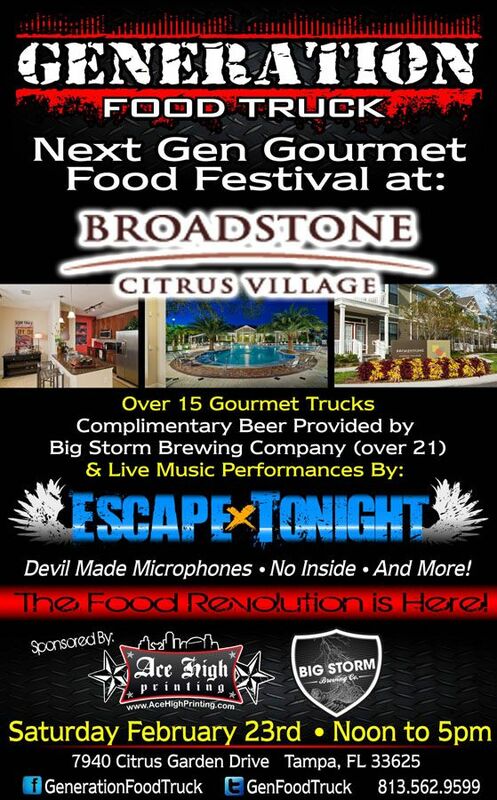 On Saturday February 23rd from Noon to 5pm, Generation Food Truck Festival will be making an appearance at Broadstone Citrus Village (7940 Citrus Garden Drive, Tampa). 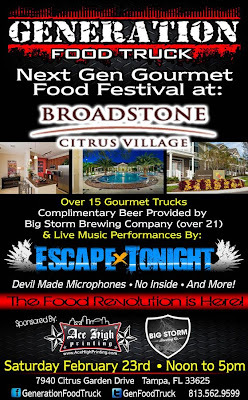 There will be over 15 gourmet food trucks, vendors and complimentary beer provided by Big Storm Brewing Company. Escape Tonight, Devil Made Microphones, No Inside & More! Margherita Organic Pizza - Healthy Cooking!